The Naughty or Nice Bauble is no ordinary Christmas decoration. It lets you and your family know whether you’re on Santa’s Naughty or Nice list by glowing green for good and red for…not so good. So now Santa won’t be the only one who knows if you’ve been bad or good. 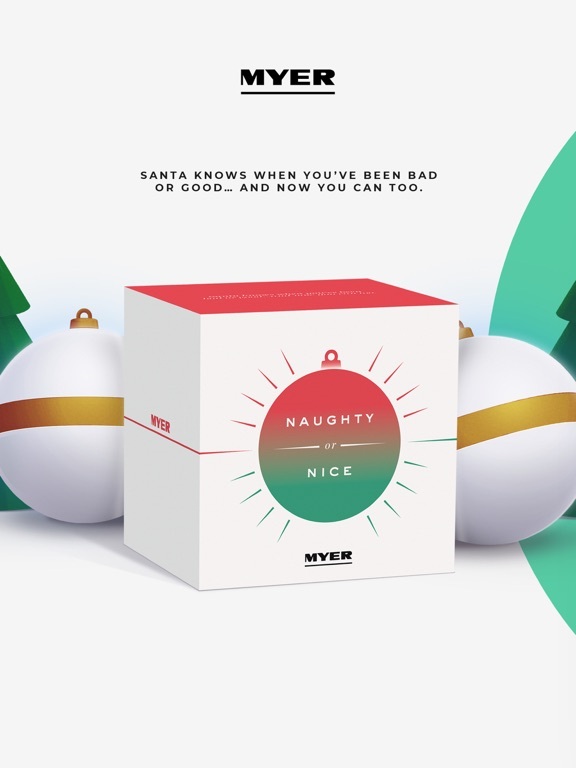 Download the Myer Bauble app to bring the magic to life. 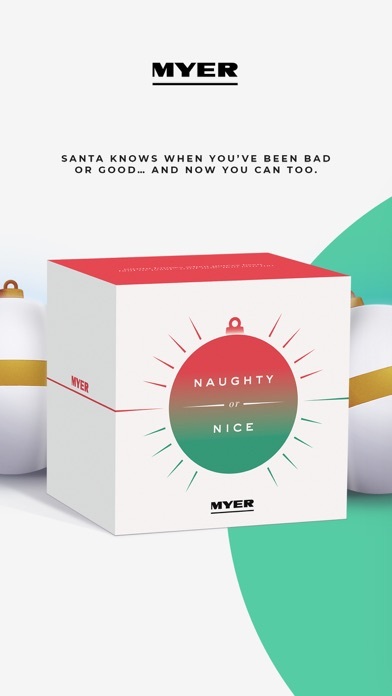 This app works with the Myer Naughty or Nice Bauble. Purchase yours at Myer.com.au or instore at Myer.